Madeline and Josh had a summer wedding on a beautiful farm in Tennessee, so they wanted their engagement session to reflect a similar setting. Captured by one of our talented Hand-Picked wedding vendors, Kate Murphy Photography. The entire e-session can be seen here. 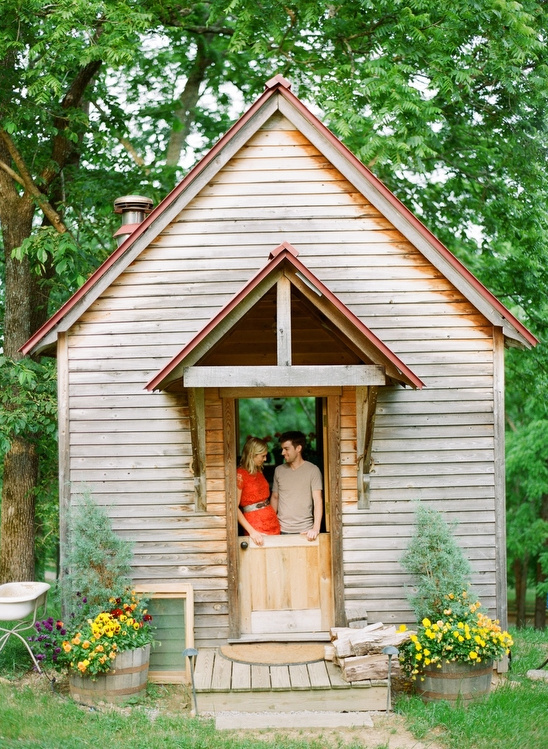 We can not wait to see their Tennessee farm wedding. We're sure it is going to be fabulous. Kate Murphy Photography is one of our exclusive The Hand Picked Vendors. They are at the top of their game and provide excellent services! Our picks were chosen because of their commitment to excellence, stylish and fresh ideas, and their overall fresh approach to weddings. To learn more about how our Hand-Picked vendors are chosen please click here.